I bought these flowers in H&M and I’m satisfied with them. What do you think? .-= Maestra´s last post … Sunset … =-. 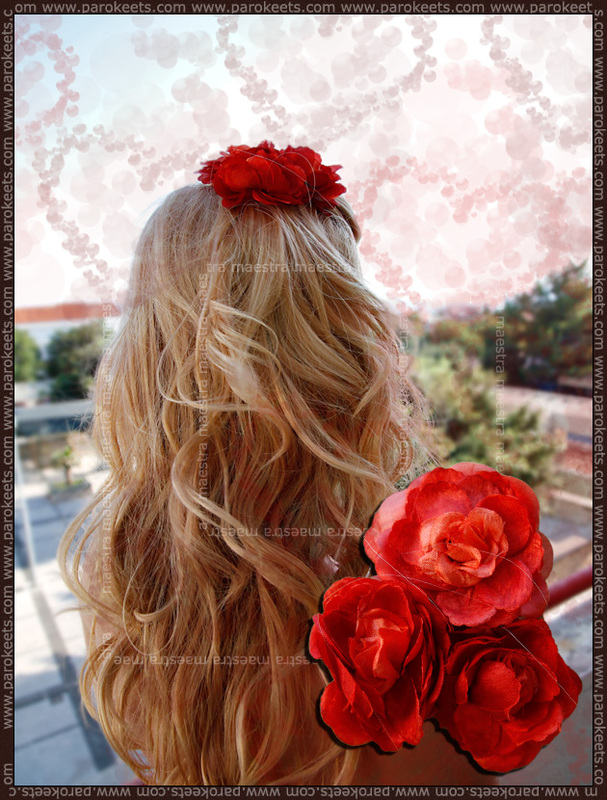 .-= Maestra´s last post … With flowers in my hair =-. Oh, wow, your hair is beautiful! The flowers look great in your hair too. So romantic and feminine!